Taking their cue from the Lake Elsinore Grand Prix, an off-road motorcycle race popularized by the Sixties movie On Any Sunday, the Oklahoma Gold Rush Grand Prix was first run in 1995. Back then 90 motorcycle riders showed up- this year they are expecting over 750 riders on motorcycles, ATVs and UTV's, ranging from the very young to very old to the very fast pro classes. The course itself is like no other you will normally find. It is a mix of asphalt racetrack and dirt riding through the surrounding woods, mixed in with a few man-made obstacles just to make it a little more interesting. This unique combination of pavement and off-road trails makes the Gold Rush a popular annual race for racers and spectators. Each year, more riders show up from all over the nation, and a few from outside the US. 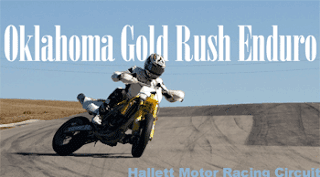 I took the short ride out to Hallett Motor Racing Circuit to get the lowdown on this year's event. I met with two of the key people that put the event on every year, Pat McDonald and Don Clifton and got the full tour of the layout for this year. Every year, they move the course around and keep it challenging. The full course this year is 8.6 miles in length, with a short course at 5.1 miles and a Supermoto course at 1.5 miles in length. The even have a miniature course set up for the little ones that has appropriate challenges for the 6 to 12 yr olds. Because they don't allow any practice on the course before the race, there were no riders out on the track during my visit and they were still working on getting jumps and other obstacles just right, placing the last of the markings and making sure everything flows right. 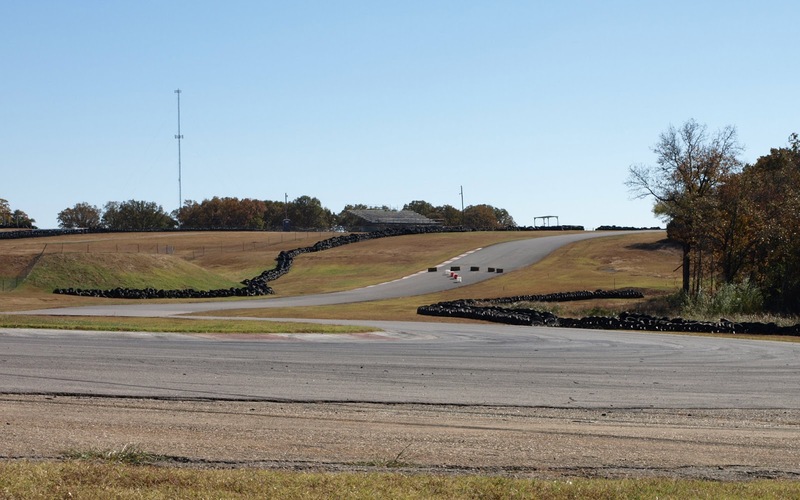 Don Clifton has laid the track out again this year and has done a great job, fine tuning the track to cater to no one style of rider and accommodating everything from motorcycles to the larger UTV vehicles. Even testing (ask him about his big orange lawn dart) the full track at speed to make sure that nothing is set up wrong. I talked with Danny Eslick (hanging around, hoping to get a sneak peek at the layout) and he agreed that this year was a great layout. 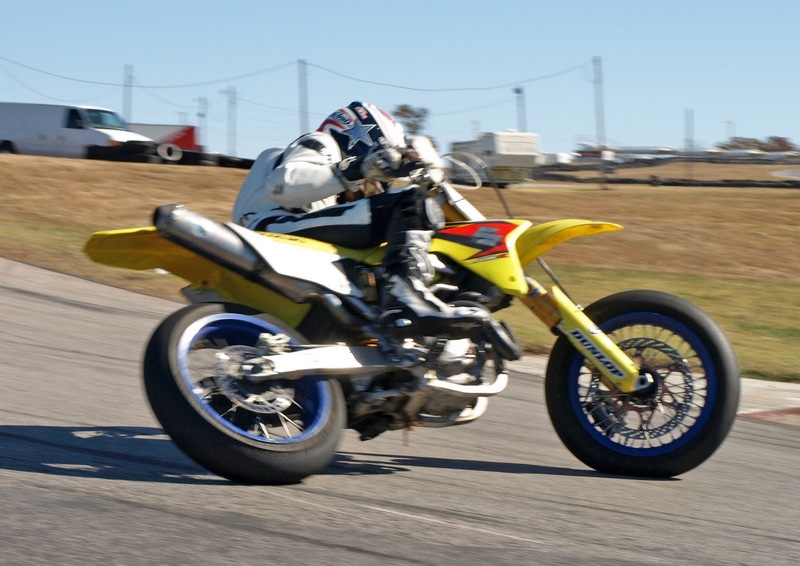 He has run it before and will be running the Supermoto and possibly the main event. I twisted his arm to get out his Motard bike and let me get a few pics. He proceeded to show this old man how to back it into Hallett's infamous turn two. Spectator admission $15.00 per day, entry forms available online for all classes. Hey you guy's, saw you there. It was my 15th Gold Rush to compete in. It is why I bought a dirt bike. Back in '95 I found out K&N was putting on race like this, so I signed up. That no practice helped me, I was a trials rider & was used to no practice. I came out of the woods on the 1st lap & was so far in the lead I thought I had cut the course. That was so cool. I see you have a pic of me in the supermoto pointing to the camera out of turn 2 with Sam behind. After 15 years & great finishes in all, I get jazzed every Nov.
Everyone should do this event, it is for all.